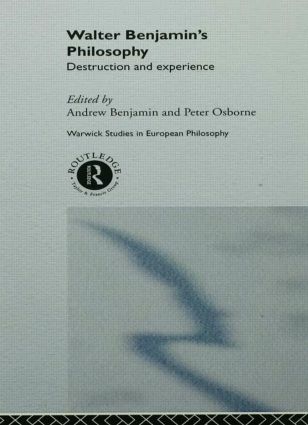 This collection explores, in Adorno's description, `philosophy directed against philosophy'. The essays cover all aspects of Benjamin's writings, from his early work in the philosophy of art and language, through to the concept of history. The experience of time and the destruction of false continuity are identified as the key themes in Benjamin's understanding of history.